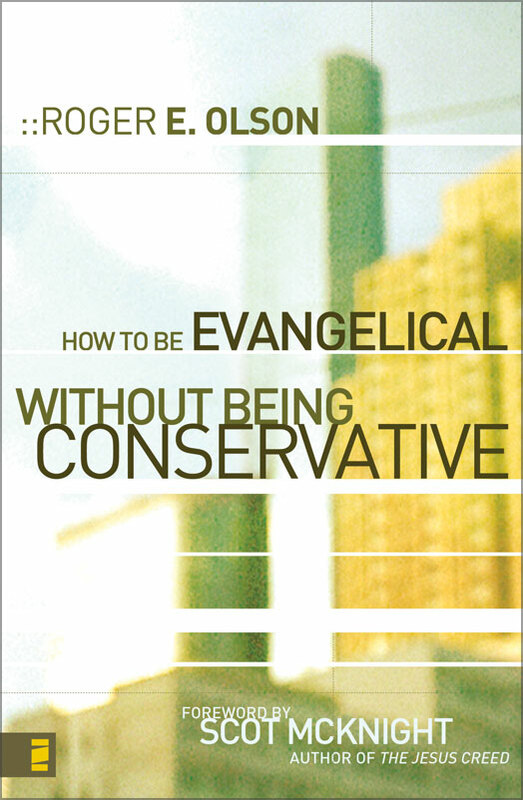 I recently wrote a quick review of How To Be Evangelical Without Being Conservative by Roger E. Olson but, even a week later, I have some more thoughts on the book (I guess a good book should keep you thinking). I said that "I wasn't sure I was willing to accept Olson's definitions, indeed I wasn't sure if I agreed with him" and I believe I've put my finger on one of my main struggles with the book. He broadly describes Evangelicals as displaying five characteristics: "biblicisim (belief in the supreme authority of Scripture for faith and life), conversionism (belief that authentic Christianity always includes a radical conversion to Jesus Christ by personal repentance and faith that begins a lifelong personal relationship with him),"--and I find this "conversionist" to be among the most controversial between conservatives and liberals--crucicentrism (piety, devotional life, and worship centered around the cross of Jesus Christ), ...activisim (concern for and involvement in social transformation through evangelism and social action)" and finally, "respect for the Great Tradition of Christian doctrine." (all this is from his introduction). Once you flesh these out there are many many Christians (some who may even refer to themselves as liberals) who might find them agreeable. But what's missing here? What central aspect of Evangelical theology does Olson leave out of his broad description as well as his more detailed analysis of Evangelicalism? I would assert that there is a particular doctrine with which you must deal if you're going to deal with Evangelicalism--the doctrine of hell. Hell--the doctrine that asserts that those who do not experience conversion and/or those who die "in their sin" will experience eternal postmortem suffering--has become as central to mainstream Evangelical theology as Jesus himself. To propose a definition of evangelicalism that does not include nor deal with hell is to propose a completely different definition than Evangelicals hold for themselves (at least in practice). Thus, from my understanding, Olson does not provide a complete definition. It is possible, after all, for someone to be Evangelical by Olson's definition... even conversionist... without believing in hell at all and I'm not sure that's fair to most evangelicals. On the other hand, I personally still (barely) consider myself to be an Evangelical (especially by Olson's definition), but I realize that I have to deal with Hell. I do not share mainstream evangelical sentiments about Hell. I don't see it as a rigid doctrine. As I've mentioned before, my beliefs about Hell kinda depend on the day. So I do believe that there is foundation for someone to be Evangelical without sharing the traditional theology of hell--it might very well mean proposing an altogether new (or newly remembered) definition for Evangelicalism--but either way, Olson missed an opportunity to approach that subject directly. Overall, especially now that I've had time to let it settle, I still think Olson's book is fantastic. It really lays some good foundation for discussion. In a way, I'm glad he didn't talk about Hell... the book may have had to be significantly longer and he may not have been able to make the same kind of advances that he made throughout the book. Wes, I haven't read this book yet, though I did see your "challenge" in the previous post. ;-) Man, the longer we stay in touch, the longer my reading list gets! A thought on Hell, however: read C. S. Lewis' "The Great Divorce," if you haven't already. It was eye-opening for me - very open, almost universalistic in its sense of possibility for salvation, but comes from a champion of traditional Christian thought and one beloved by evangelicals, generally. I am embarrassed to admit that I have not read The Great Divorce. In my research on Hell, the closest I really got to Lewis was a couple articles about his view and some excerpts. Lewis is surprisingly open and seems to have room to hope toward universalism (possibly much in the same as Barth). It's ironic how much respect evangelicals tend to have for him. I don't know about universalism in Barth - and I do know it's not an idea typical of evangelicals, or much appreciated in those circles. In fact, scripture is ambivalent about it, if taken altogether. Jesus does enter hell, according to 1 Peter, to preach to (and convert?) the souls who died before the Flood. But there's nothing specific about a post-Jesus, post-death possibility for repentance that I can recall. Still, there's also nothing that prevents it, scripturally. And it would seem that a God who "works in mysterious ways" can make a way for whatever God wants - namely, the redemption of humanity. That's kinda how I think of it. There's room to hope but there's not enough in scripture for us to build a doctrine. In the end, we still need a call to repentance. Not merely because people might go to hell if they don't (and I'm open to that possibility) but because the world is not as it should be.